UPDATED: Wed., June 13, 2018, 9:29 p.m.
WASHINGTON – America and the world can “sleep well tonight,” President Donald Trump declared on Wednesday, boasting that his summit with Kim Jong Un had ended any nuclear threat from North Korea though the meeting produced no details on how or when weapons might be eliminated or even reduced. While Trump claimed a historic breakthrough at the most significant diplomatic event of his presidency, Secretary of State Mike Pompeo, was more measured. He said that Trump’s tweet was made “with eyes wide open” to the possibility diplomacy could falter, and that the U.S. wants North Korea to take “major” nuclear disarmament steps within the next two years – before the end of Trump’s first term in 2021. And while North Korean state media had claimed that Trump and Kim agreed to “step-by-step” actions – an apparent euphemism for phased sanctions relief in exchange for phased denuclearization – Pompeo ruled that out. He insisted that Trump had been explicit about the sequencing from the start. Shortly after arriving in Seoul to brief U.S. treaty allies Japan and South Korea, Pompeo also cautioned that the U.S. would resume “war games” with close ally South Korea if the North stops negotiating in good faith. “This is a matter that military officials from South Korea and the United States will have to discuss further and coordinate,” Kang said in Korean. 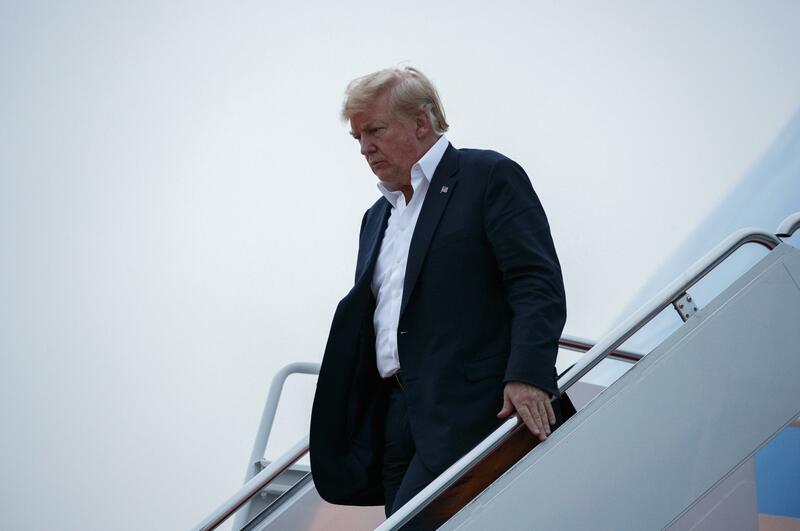 The summit in Singapore did mark a reduction in tensions – a sea change from last fall, when North Korea was conducting nuclear and missile tests and Trump and Kim were trading threats and insults that stoked fears of war. Kim is now promising to work toward a denuclearized Korean Peninsula. He bristled at questions from reporters about the vague wording of the statement where North Korea “commits to work toward complete denuclearization of the Korean Peninsula” – a promise it has made several times before in the past 25 years and reneged on. Although Trump before the summit had insisted on “complete, verifiable and irreversible” denuclearization, the deal he signed with Kim made no mention of those last two conditions. Irrelevant, Pompeo argued Thursday in Seoul, noting that because the deal makes reference to a previous agreement that did include verification, it automatically “incorporates” verification without having to state it outright. On Thursday, the rival Koreas held rare high-level military talks to discuss reducing tensions across their heavily fortified border. It’s possible North Korean officials will seek a firm commitment from the South on stopping its military drills with the United States. Seoul’s Defense Ministry said the talks would focus on carrying out agreements from a summit between Kim and South Korean President Moon Jae-in where they vowed to take materialized steps to reduce military tensions and eliminate the danger of war. “The summit was a truly historic feat which moved us from the era of hostility towards the era of dialogue, of peace and prosperity,” Moon said through a translator. Actually, concerns about North Korean missiles and nuclear weapons reached a peak last year, during Trump’s first year in office, as the North conducted more tests and Trump and Kim aimed ever more fiery rhetoric at each other. Christopher Hill, chief U.S. negotiator with North Korea in the George W. Bush administration, suggested in an interview that it’s “a little premature” for Trump to say Kim is someone the U.S. can trust. “Kim Jong Un has proved to be a pretty ruthless leader in North Korea, and I’m not sure this sort of speed dating of a 45-minute one-on-one meeting … would suggest that there’s nothing to be concerned about,” he said. “He was unambiguous about that,” Pompeo said. Published: June 13, 2018, 8:04 a.m. Updated: June 13, 2018, 9:29 p.m.